I went to a great seminar at the London Book Fair on equality, diversity and inclusion in children’s books, chaired by Alexandra Strick, disability children’s book consultant. Verna Wilkins told us the history of Tamarind Books, which she founded in 1987. At that time, it was all but impossible to find books with black children in, something I remember all to well, as a librarian in Brent then. She was horrified by the consequences of invisibility, and determined to redress the balance. She was a beacon then, and she remains a beacon now. It was wonderful to see her again. Dave and the Tooth Fairy is my favourite Tamarind book. Beth Cox, children’s books consultant and co-founder with Alex of Inclusive Minds, Fen Coles of Letterbox Library and PhD student Erica Gillingham then shared their views on the extent to which children’s books are representative of the diversity of society. Fen reflected on how far there is to go on this issue. This is the first year of the Little Rebels Children’s Book Award. Some publishers submitted books purely on the grounds that they had a black character. More books feature black characters now than when Verna founded Tamarind, but not nearly often enough as chief protagonists. Gendered marketing is ubiquitous. (I am very aware of this as a children’s book reviewer, and have blogged about it.) Are books about football the answer to getting boys reading? Must gay and lesbian characters in picture books really be animals rather than humans? Where are the books that show the real lives of refugees and asylum seekers? Where are the books about transgender characters, looked-after children, mental health issues, different social and economic backgrounds, Traveller, Roma and Gypsy characters? I would add books featuring characters with learning disabilities. Erica spoke eloquently about the paucity of books with LGBT characters in the UK. We are way behind the States, she said, and there are consequences. She is particularly concerned about the lack of books with bisexual and transgender characters. Beth regrets the lack of understanding of the terms diversity and equality. ‘It is not enough just to put a wheelchair here and there.’ She highlighted the fact that diversity is important for all children. (Tamarind books have frequently been turned down by booksellers on the grounds that ‘we don’t have those sorts of children here’.) Beth assured publishers that there is a real demand for inclusive books, and urged them to be brave. Inclusive books will not earn them millions, but they make good business sense. Publishers were also urged to avoid promoting negative stereotypes, to think about the use of language, to be authentically inclusive, not to over-sentimentalise or sensationalise, and to ask for help. I so agree with all of this, and I am delighted to be in discussion with Inclusive Minds about ways we can collaborate in future, and that Letterbox Library and I are working on training ideas. In the light of this seminar (which will be available soon as a podcast on the Booktrust website), I was fascinated and saddened today by a piece on the Rhino Reads blog. Why are crocodiles only boys? is a useful exploration of gender inequality in children’s books. Thanks for the kind words, Anne – glad you found the seminar interesting. I think we just need much longer if we are going to do more than scratch the surface (already thinking about ideas for next year!) And thanks for the link to the wonderful crocodile blog post. I really enjoyed this post, Anne. 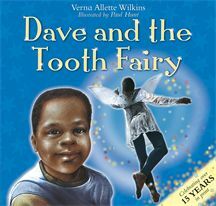 As a writer with one Sudanese and one white British parent I am particularly interested in the experiences of mixed race children, Since mixed race is the fastest growing ethnicity in Britain it is astonishing how few children’s books reflect their lives, I have featured a mixed race protagonist in all three of my books. It wasn’t a conscious decision, it just happened naturally and became a key element of the plots. However there is one thing that heartens me. Whenever I go into a richly diverse school the children are always astounded when I tell them about my experiences of growing up as a mixed race child of a single mum in the 1960s! I have been concerned for years about the paucity of books with mixed race characters, Sam. Thankfully there are a few enlightened authors like you addressing the issue. I've just had a look at the Letterbox Library website, Fen. It looks great and its really good to know about the work that you do.